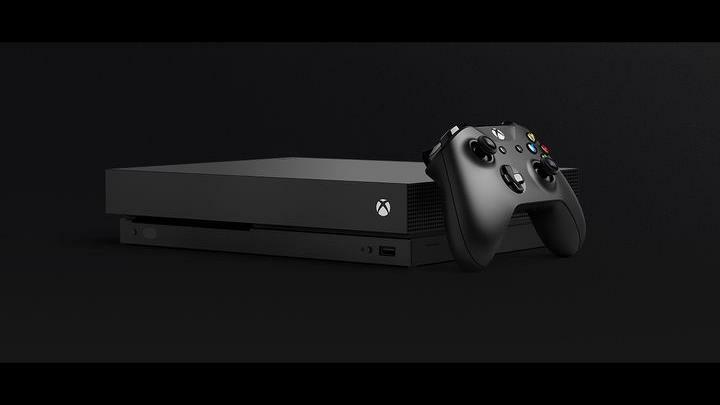 Although we’ve known for months that Microsoft was planning to introduce a new console this fall, the Redmond company finally unveiled the new member of the Xbox family during its presentation at this year’s E3. And in the end, the new machine won’t be known by its work-in-progress name “Scorpio”, but will rather by known by the more mundane “Xbox One X” moniker. Microsoft is pitching the console as a direct rival to Sony’s PS4 Pro, and to that effect features very powerful hardware in order to enable gaming at true 4K resolution. Actually, the console not only boasts a custom-made AMD graphics processor which is capable of a whopping 6 Teraflops, but also comes with 12 GB of cutting-edge GDRR5 memory. Additionally, the Xbox One X features a 1 TB hard drive and a ultra-high definition Blu-ray drive as standard, and will retail for $499 in the US. It is noteworthy too, that despite being the most powerful console made to date, it is smaller than both the original Xbox One and the more recent Xbox One S (slightly smaller than the latter actually). Despite this, though, you will need strong arms to carry it around, as it’s the heaviest Xbox console to date weighing close to 4 Kilograms (8.8 pounds). And those who decide to plump for the Xbox One X when it ships on November 7 won’t be short of games to show it off, as several upcoming and existing games like Gears of War 4 will be featuring Xbox One X support pretty soon. Amongst these is Bioware’s Anthem and Middle-earth: Shadow of War, which will both be able to run at true 4K resolution on Microsoft’s new console. Also, the upcoming Forza Motorsport 7 was shown running at ultra-high definition during the E3 show, and this was an incredible demo of what the new Xbox is capable of. Of course, the Xbox One X is still a few months away from hitting the market, and Sony’s PS4 Pro is still the only console capable of 4K gaming in the market right now. But judging by what we’ve seen of the Xbox One X, Sony will be getting real competition pretty soon, while Microsoft will finally be able to claim it has the most powerful console when the X is released this November.